I can honestly say that this is the kind of skirt I dream about owning. Don’t judge me or my dreams. 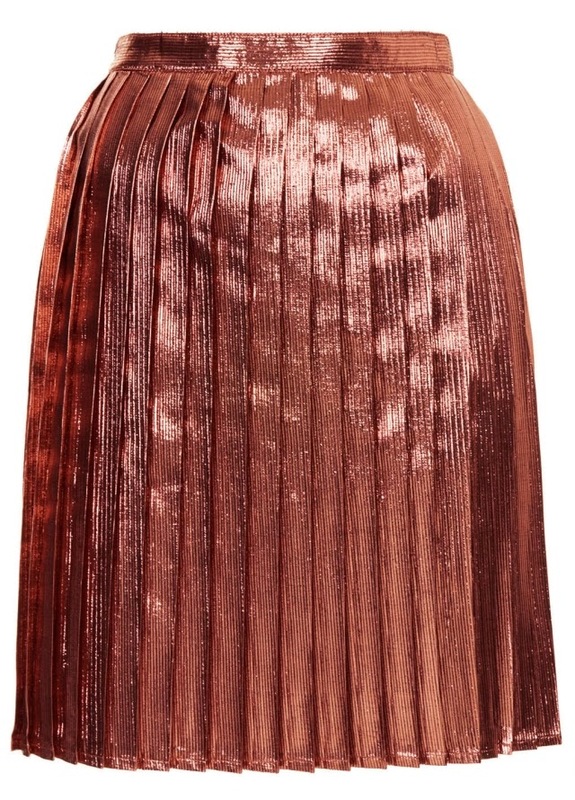 This skirt is everything I’ve been looking for and more, because it’s rose gold. And lord knows us bloggers seem to be obsessed with anything, and I mean anything, that is rose gold in colour. Everything about this is dreamy. The colour, the pleats, the way I imagine it rustles when you touch it. Everything. Thanks Topshop for having a sale and knocking this Metallic Pleat Skirt down to £15 quid. I owe you. Next Post Can I Still Wear Dungaree Shorts?